“The Little Mermaid” is a tragic and heartrending love story woven by the author Hans Christian Andersen. The story of a little mermaid who sacrifices many things for the man she loves continues to be passed down through generations as a message that speaks about the power and the transience of a maiden’s love. To give up her love, be turned into bubbles, and disappear or to kill the prince, become a mermaid once again, and return to the ocean… The options laid for her are poles apart and yet she has to do something--it’s an unforgettable part of the tale. 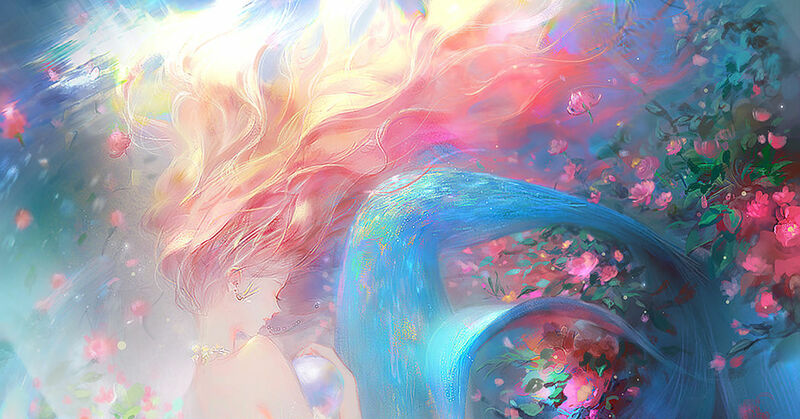 Today, we’re featuring various illustrations of “mermaids”. Some are heartrending and beautiful, while some others are just plain adorable. Enjoy!